It's probably not a good week for those companies in and around the textbook industry, particularly if they haven't been invited to appear onstage with Apple for its big "education event" on Thursday. Inkling CEO Matt McInnis has been cited in several stories over the weekend about what he thinks Apple will do. I'm guessing he didn't have to sign an NDA. I'm guessing Inkling won't be part of what's unveiled. I'm not sure if Kno has been invited to the Guggenheim (now I feel bad whining about my invitation). But if its release of news today is any indication, I'm going to hazard a guess that no, Kno won't be there either. The digital textbook platform unveiled some changes to its iPad app today, news that Techcrunch covered with the headline "Kno Adds New Features to Smart Textbooks in Attempt to Head Off Apple." Kno has added two features -- Kno Me and Kno Flashcards -- to its e-book app. The former gives students insights into their study habits with a data dashboard containing the time they spend on a book, their quiz results and so on. Kno Flashcards (obviously) allow students to create key terms from textbooks into flashcards. Since abandoning its plans to build a student-oriented tablet, Kno has worked instead on its software, rolling out a number of enhancements to its e-reader app. But will the bells and whistles be able to compete with Apple has in store for us on Thursday? Over at Inside Higher Ed, I have a look today at another one of the major players in the textbook space, Chegg. Again, I'm not sure we'll see Chegg on stage on Thursday, but I doubt it. 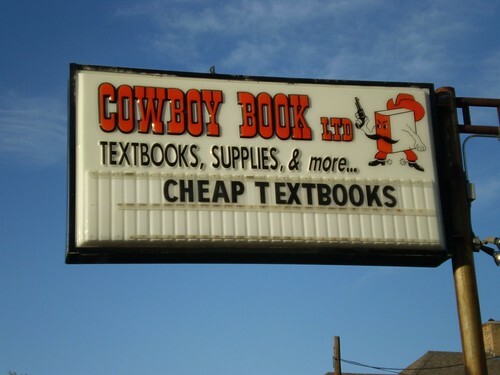 Neither a publisher nor a digital distributor of textbooks (yet, at least), Chegg is fascinating nonetheless. It's a massive company, yet it feels like the only time we hear about it in the news is when it's raising money (it's raised over $219 million according to Crunchbase) or when it's acquiring startups (in the last 18 months, it's acquired 6). Chegg has big plans to become an educational portal, selling all sorts of higher ed services to students -- not just textbook rentals. But does it have enough brand recognition to actually compete with the likes of Amazon and Apple? Do any of these e-textbook startups?